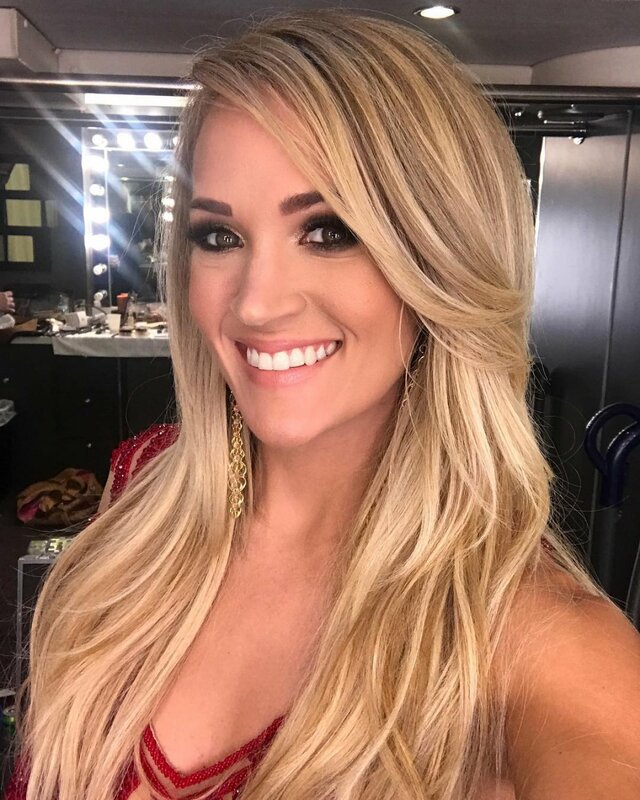 Carrie Underwood had to get over 40 facial stitches after fall -- "I honestly don't know how things are going to end up"
The 34-year-old singer and former "American Idol" winner said in a post to her fan club members that she got more than 40 stitches in her face following a November incident where she also broke her wrist. "In addition to breaking my wrist, I somehow managed to injure my face as well," she shared. "I'll spare you the gruesome details, but when I came out of surgery the night of my fall, the doctor told [my husband Mike Fisher] that he had put between 40 and 50 stitches in." "Now, here we are 7 weeks later and, even though I've had the best people helping me, I'm still healing and not quite looking the same," the star said. "I honestly don't know how things are going to end up but I do know this: I am grateful. I am grateful that it wasn't much, much worse." Underwood said in her update that she isn't ready "to get in front of a camera" but is "determined to make 2018 amazing." She posted a photo of herself Dec. 27 on Instagram with the majority of her face obscured by a scarf.